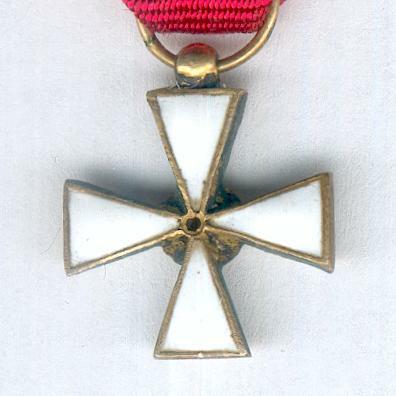 Miniature silver-gilt-edged white enamel cross pattée with laterally-pierced ball and loop for ribbon suspension; the face now lacking the circular central red enamel medallion bearing a lion of Finland; the reverse plain white enamel; diameter 14.08mm (0.55 inch); on original ribbon. 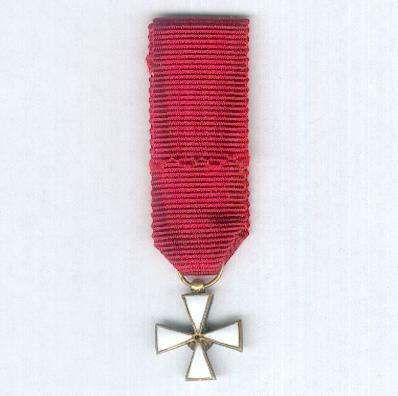 The Order was established on 11 September 1942 and may be awarded for both military and civilian merit to Finns and to foreigners. 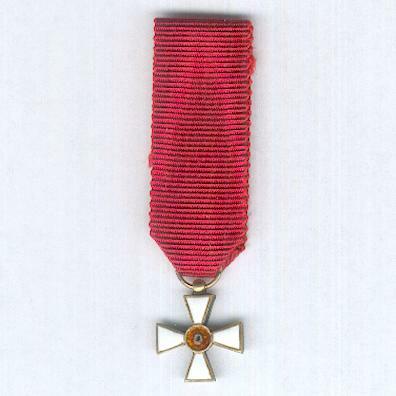 The aim of the creation of the Order was to prevent dilution of the Order of the Cross of Liberty and the Order of the White Rose of Finland at a time when Finland’s heroic struggle against Soviet forces was daily littered with acts of heroism and merit that deserved recognition. 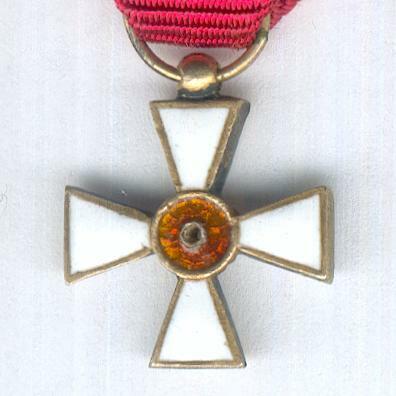 It was designed by Oskar Pihl, son of Fabergé’s Moscow master, who was the influential head designer of the Finnish jeweller and silversmith Tillander from 1923 to 1957.